Thanks to record performances in the USA, Europe and especially China, the global PEV market had its best month ever in December, surpassing for the 170.000 units delivered, representing a 67% growth YoY, with 2017 ending with over 1.223.000 units, 58% above 2016, placing the global plug-in share at over 1%. Thanks to the influence of the BEV-friendly China, BEVs were up 2% share in 2017, with the BEV/PHEV breakdown ending at 66% BEV vs 34% PHEV, the highest for all-electrics since 2011. In the models ranking, the big news were the shooting for stardom of the BAIC EC-Series, with the little EV breaking successive monthly records in the second half of the year, and basically crashing on the Tesla Model S party....Adding a new Yearly record (78.000 units) to boot. The Bronze medalist was also a surprise, with the Toyota Prius PHEV coming out of nowhere to win the last place of the podium, with 51.000 units, repeating the 2013 Bronze medal, at the time achieved with a 23.000 units score. Looking only at December, one can say it was all about Tesla and the Chinese, with the first eight positions going all for them (BAIC EC-Series; Tesla Model S; Tesla Model X; Chery eQ; Wuling E100; JMC E200; BYD Song PHEV; BYD Qin PHEV). But back at the full year positions, last year winner Nissan Leaf was only Fourth this year, as the transition for the new generation took longer than previously thought. Two models had reasons to be happy with their 2017 performances, the Tesla Model X almost doubled deliveries, and ended in Fifth Place, losing some of the Ugly Duckling fame it had on it. The Zhi dou D2 also had a bang up year, shooting for a Top 10 position last year. 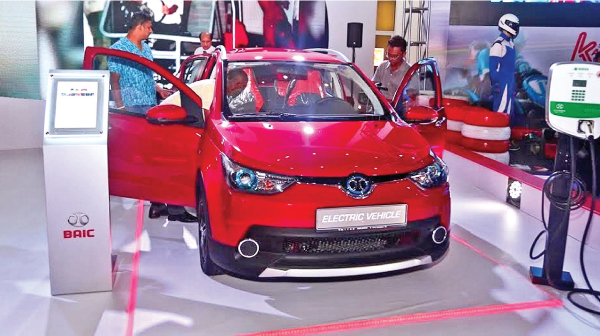 Two new additions to the ranking showed up in the 2017 Top 10, with the BYD Song PHEV becoming the Rookie of the Year, by ending its first year in Ninth, while the Chevrolet Bolt, effectively a 2018 model, ended the year in Tenth, after a looong production ramp up. As this is a Full Year Special Edition, we dig a little deeper, into the Top 20, where we can see that seven out of ten models come from China, but also three significant drops regarding 2016, with the Chevy Volt stumbling 8 positions to #12, while the Mitsu Outlander PHEV did even worse, falling 9 places to #14. Are competitors making wrinkles show on these models? The BYD Qin PHEV, down from #9 to #17 has a diferent story to tell, as the model spent a big part of the year waiting for the revised version, that only started to charge ahead in the second half of the year. Looking at December Best Selling manufacturers, there were five(!) manufacturers with five digit performances, something unthinkable 12 months ago, when basically only BYD and Tesla did those kind of stunts. But looking at the full year numbers, no surprise at the top, with BYD winning the Manufacturers title for the third time in a row, with a record 109.000 units, but this time it had two other OEMs beating the 100k barrier, with BAIC just edging out Tesla and getting away with Silver in the last minute. Beijing Auto's race to the top is nothing short of amazing, if in 2015 the maker was only #12, the following year it jumped to Fifth, and now Second...Will it go for Gold in 2018? As for the Bavarian automaker BMW, the benefits from a strong (And extensive) lineup continue to be felt, with the German maker being by far the most successful Legacy OEM in the ranking. Below these "Big Four", there is a big empty space separating them from the Best Selling Brand of the "B League", with Chevrolet having the most significant performance, jumping its deliveries to 54.000 units in 2017, allowing it to climb to #5 an important step above the #8 achieved in 2016, which was itself a positive step above from the #11 of 2015. Nissan was only Sixth, suffering from the Sunset-mode of the Leaf I, while Toyota jumped to Seventh in 2017, its best standing since 2014. Roewe also had reasons to smile, reaching a best ever Eighth Spot, same with Zhi Dou, in #10. Looking to the places below the #10, there are an additional six Chinese brands, making half of the Top 20 having Chinese passport, with Changan performance being the most impressive, jumping from #28 to #15, While Hyundai also joined the Top 20 for the first time, in #20. As for Mitsubishi, sales were down 17% YoY to 27.000 units, its worst performance since 2013, with the #18 spot being the worst position for the Japanese manufacturer ever since it started in 2009...Carlos Ghosn has a big job ahead at Mitsubishi. A / City Car - In a segment completely owned by Chinese OEMs, the BAIC EC-Series is the new, undisputed King, with the Zhi Dou D2 and Chery eQ serving as Lieutenants. E+F / Fullsize - Tesla Model S, hands down leader since 2012. Second Place went for the successful BMW 530e (10.074 units), with the Third Place going for the hot Porsche Panamera PHEV (4.457 units). Mercedes, last year holder of Silver and Bronze, had their representatives dropping to Fourth (E350e) and Sixth (S500e). Is Mercedes losing the Luxury race? Pick up Truck - The Chinese Dongfeng Rich EV (608 units) repeated last year title being the only model to reach three digit numbers. This is a golden opportunity that no one so far (Chinese included) has tried to take. For how long? The Global December sales post is coming soon, but taking on a reader suggestion, i've decided to post this Top 10 ranking by Automotive Group, the 2017 edition was truly exciting to see unfold, with several OEMs separated by what can only be described as split hairs, which bodes well for the dynamics of the market, with no one truly owning the market. And that's how i like it: "Diversity breeds Competition, Competition breeds Improvement". The addition of Mitsubishi to the lineup masked a soft selling year, mostly due to the sunset-mode of the Nissan Leaf, but with its new version arriving soon, expect The Alliance to continue prospering throughout 2018. reaching between 200k to 250k units in 2018. The surprise of the year. Thanks to the EC-Series, the 2017 Best Selling EV, Beijing Auto, which includes Changhe Auto, became the Third largest OEM in the plug-in world, and if we limit just to BEVs, it is the Biggest, overcoming Tesla and the Renault-Nissan Alliance. How high can it go this year? Even it the 2017 growth rate (+126%) is not possible to repeat, i guess 170k units will be a reasonable target for BAIC to beat. 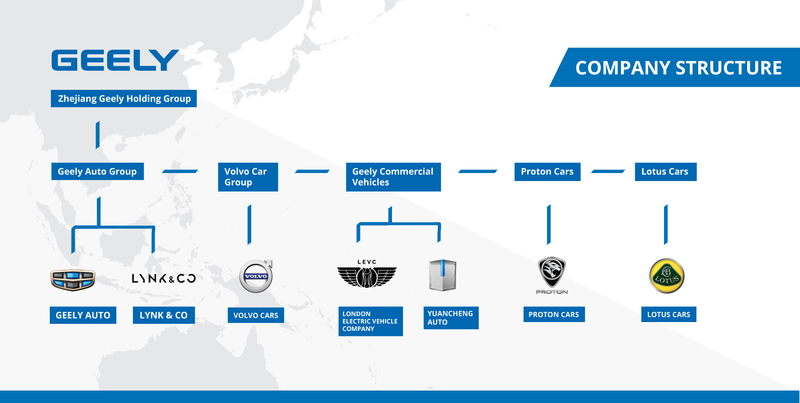 The Chinese juggernaut, known to have almost as many brands as the Volkswagen Group, profited from the general growth of their plug-in offer (Zhidou, Geely, Volvo, etc...) to post a surprising result of over 103.000 units. With yet another brand addition to the lineup in 2018, with the recent, and irreverent, Lynk & Co starting to make their own PEVs, Geely is set to continue on the growth path throughout 2018. Despite what some fanboys dream, the American brand is not (yet, at least) taking over the EV world, in fact in 2017 its growth rate (36%) was below what the global PEV market (+58%) had, so in fact, Tesla lost share last year...Expect things to change radically in 2018, with the Model 3 ramp up, with the brand deliveries expected to reach some 250k units by year end, which, it should be said, is no garantee to earn its first Best Selling Maker award, as other OEMs (Read: Chinese ones) are also stepping up dramatically. In a very German way, the Luxury maker said previously it was going to reach 100.000 in 2017, and so it did, making it the Best performing legacy OEM by far. Sure, most are short-range PHEVs, but neverthless, they count here and they helped to Place BMW as the last of the "Big 6" plug-in makers of 2017. With a target of 150.000 PEVs set for 2018, count them in to reach such number, with some units to spare. The Volkswagen Group was the Best Seller of the laggards Group B, with 70.000 units, currently struggling with shortage supply of batteries for some models (VW e-Golf, Porsche Panamera PHEV...), and not enough love regarding some other models (VW e-Up! ), apart from the e-Golf (30 k in 2018? ), do not expect significant growth coming from here, as their eyes are all set in 2019. The European passenger plug-in market ended the 2017 season with a (near) record performance, growing 11% regarding the same period last year, by registering some 33.700 units, just a whisker below the all-time record of December 2015 (33.827) which, let’s not forget, was inflated by fiscal changes that happened in the Netherlands, Sweden and Denmark in January ‘16. Looking at the full year performance, sales were up 38%, to over 306,000 units, this growth is even more significant against the backdrop of a stagnating (-5%) automotive market in Europe, making plug-ins the fastest growing segment in the Old Continent. Good news in the BEV/PHEV breakdown, the BEV share grew to 49%, with all-electric cars growing faster (+45% vs +32%) than PHEVs. Expect this trend to continue this year, with BEVs recovering the upper-hand over plug-in hybrids. 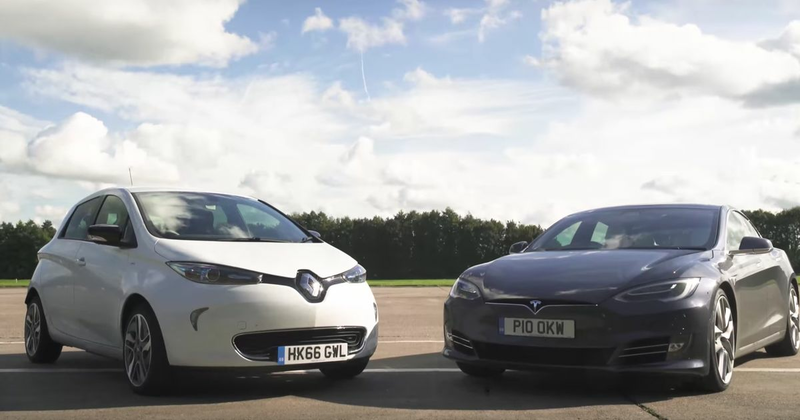 In December, Tesla did its usual last-month-of-quarter peak performance, but this time the resurgent Renault Zoe resisted the Tesla tide and won the Best Seller title, thanks to 3,380 deliveries. Interestingly, the biggest surprise in December hasn’t reached the December Top 5, ending the month in Sixth. The Smart Fortwo ED scored 1,707 units, by far the nameplate best performance ever, it seems the tiny two seater is experiencing an overwhelming demand, with the Smart EV already having a six-months waiting list, suffering from a recurrent problem: “Not enough batteries”. #1 Renault Zoe – December marked a return to form for the French hatchback, growing 18% YoY, to 3.380 units, its best performance since June. Let’s hope the Renault EV doesn’t suffer from further production hiccups, delivering enough units to satisfy demand from now on. As for market individual performances, besides the usual good result at home (1,652 units), there were also big numbers in countries like Germany (301 units), Norway (422 units) and Spain (168 deliveries). #3 Tesla Model X – The Ugly Duckling of the Tesla stable had an opportunity to shine in December, growing 42% YoY to a record 2.156 units and ending the month in the podium. If the record sales Norway (1,429 deliveries) were the main driving force, other markets also impressed, with the Netherlands and the United Kingdom posting three digit numbers. The SUV/Minivan-that-thinks-is-a-sports-car is profiting from incoming improvements (eg, second and third row seats are now foldable…) and might start to leave the long shadow of the Model S older brother. #4 BMW i3 – The German Stormtrooper Hatchback was up 9% in December, to 1,979 units, a result explained by deliveries start of the facelifted version, that is still in early production phase. Still, it was enough to secure another Top 5 presence, and expect deliveries in 2018 to continue the growth path. Looking at individual countries, strong results in Norway, with 512 units (All BEV), and Germany, scoring 562 registrations, with Austria (124) and France (177) also helping along. Looking into 2018, expect deliveries to pick up in the coming months, as BMW returns to full production in its Leipzig plant and delivers as much i3 and i8 as the factory can deliver. #5 Mitsubishi Outlander PHEV – After a close race with the Smart Fortwo ED(! ), the Japanese SUV managed to secure the Fifth spot in December, but sales were down 23% YoY, to 1,837 registrations, but despite this setback, the Mitsubishi model continues to profit from its unique mix of space, AWD, range and affordability (40.000€), to make it popular in markets like the UK, Norway, Sweden, France or Germany. In the long run, it is not certain that the Japanese SUV can keep up with the general growing sales trend and stay among Europe’s top sellers. Still, the Japanese SUV was the Best-selling plug-in hybrid for the fifth time in a row, and with no other PHEV selling at the same pace, expect it to remain the plug-in hybrid king throughout 2018. Speaking of 2018, the Zoe and i3 are sure to run with the VW e-Golf and others (Smart Fortwo ED?) for podium positions, while the First Position is sure to go to…For the new Nissan Leaf. Hot on the heels of 10,000 orders in Europe alone, the facelifted version will not only be the strongest candidate for the Best Seller award, but will also expand EVs further into mainstream buyers. But back at December, the last month of the year hasn’t brought many changes to the 2017 ranking, with the most important being the Smart Fortwo ED jumping enough seats to reach the Top 20, while the 2017 Rookie of the Year, the BMW 530e, climbed to #16. In a strong sales month, some models hit record performances, besides the aforementioned Smart Fortwo ED smashing month, and the Model X new deliveries record, two recently arrived Volvos have impressed, beating their own records: The XC60 PHEV registered an amazing 1,213 units, earning the Ninth Place in December, while the S/V90 PHEV twins had 594 deliveries. Another rising stars are bubbling up below the Top 20, like the Porsche Panamera PHEV(! ), that despite struggling from a common disease (Not enough batteries…), still registered 717 units last month, or the Mini Countryman PHEV, that with 752 units in December, had (yet) another record month. Outside the podium places, Tesla (9%) was Fourth, ahead of Mercedes, with 8% share, replacing Nissan and Mitsubishi in the 2017 ranking.